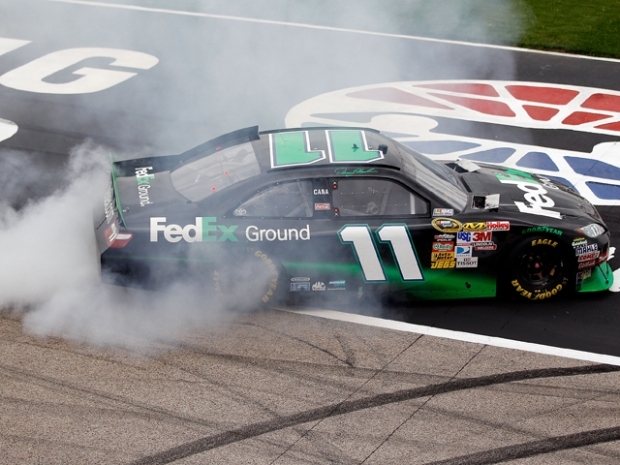 The only thing racing at Texas Motor Speedway on Monday was the wind. Despite taking out more than a few tents and just about every Port-a-Potty, the wind didn't bring down the spirits of the NASCAR die-hards spending the week camping out for the big races. "Rain, snow, sleet, wind -- we just survive and have a good time," said "Crazy Rick," who is calling Campground 3 home for the week. Crazy Rick, as he's known to everyone, survived the stormy and windy overnight weather just fine, but his friends up the road weren't quite as lucky. 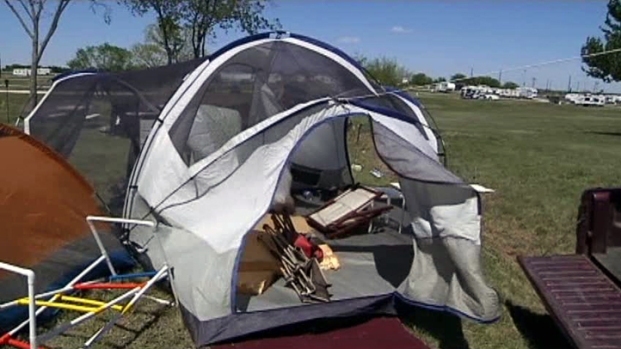 High-winds caught a few tents, but the high spirits of some early campers at Texas Motor Speedway couldn't be blown away by the gusty weather. "They got blown down," he said. "I was fortunate enough to bring the trailer -- somewhere to get out of the wind at -- but hopefully, it gets over with, and we're going racing." More than 191,000 people come to the most northern part of Fort Worth twice a year, with dedicated groups of fans filling up all 8,000 campsites. Most of the campers arrived early Saturday morning when the gates opened, and all of the spots will be full by mid-week. While racing is the main attraction, the campground provides its own source of entertainment. "It's always fun, every year, and this is a week vacation for me too," Brian Winburn said. "And we've been here since Saturday, and we'll be here until Sunday, and it's always fun." From barbecues to adult beverages, it is a week off for Winburn and his group of friends, who said the people they meet is what's most fun. "Oh yeah, every year we meet somebody new," Winburn said. The wind hampered some of their setup, and they haven't put up their racers' respective flags just yet. But the weather didn't deter them. "I mean, the wind is pretty bad, but it's supposed to calm down this week," Melvin Hill said. Most of the fans said the wind wasn't nearly as bad as the rain they experienced a few years ago. 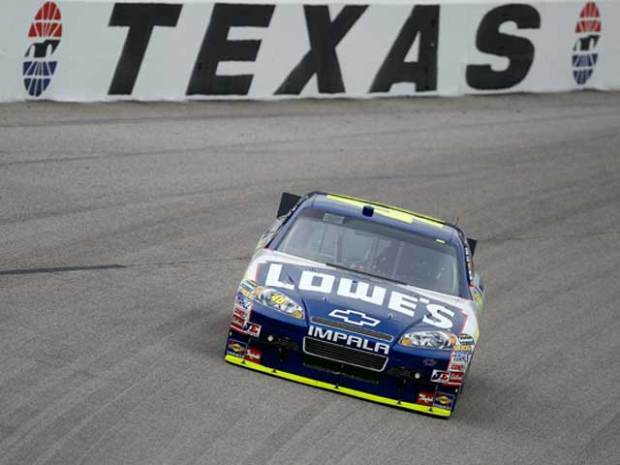 The NASCAR Nationwide race takes place Friday night, and the NASCAR Spring Cup Series Race takes place Saturday night under the lights.